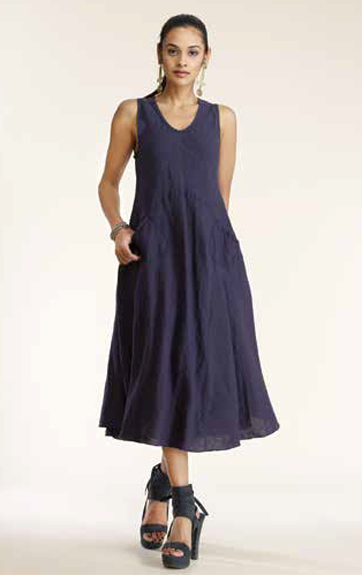 The Luna Luz Garment Dyed Linen Collection is made of linen in a heavier weight and made to look slightly wrinkled. 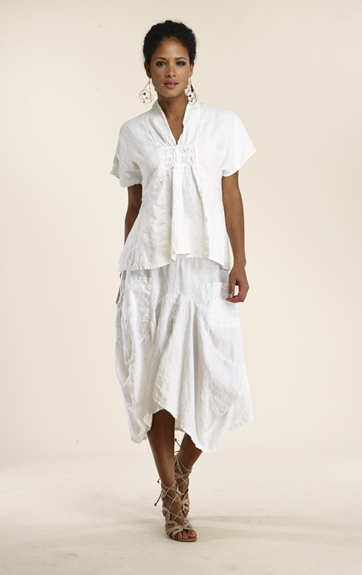 The Linen Gauze group is made of a lighter, open weave. Easy pieces to mix and match in a variety of colors. 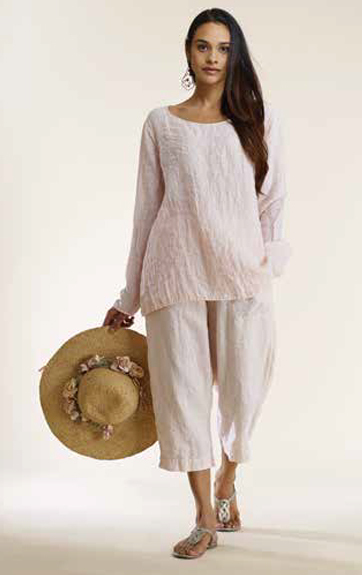 These will be pieces that will be cool and comfortable (along with stylish) in the warm months. 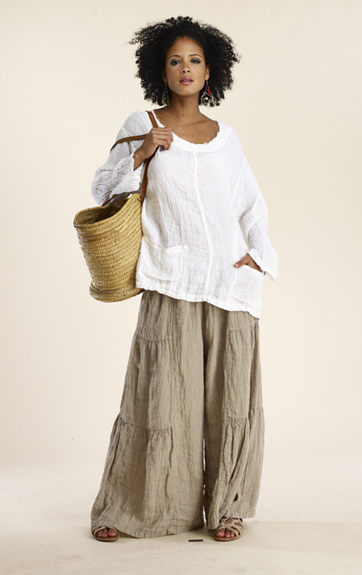 Great travel pieces as they are made to look unironed but still keeping you cool with the linen content.